What are your plans for 2018 ? I thought I'd run this again for 2018 just to see if any of us do as we say we will . Get the bootlid and rear spoiler resprayed (if anything just to stop Add going on about it). Fit the Koni's I bought in the summer. Change the engine mounts as I know one of them isn't too good. Get the MG up and running and through it's MOT. Re: What are your plans for 2018 ? Mine is to fit the new bushes for the gear linkages on the Nightfire VVC, as I'm fed up with crashing the gears trying to get it into reverse! 2015 Nissan Leaf - Boring, but smug! Get mine professionally under sealed and cavities injected with rust proofing and get to a few dry shows with it, use it sparingly on nice dry days etc. Start collecting "what if" spare parts too!! Not so much plans but possibilities as I will never get them all done at least not in one year! If I get one or two done I will be making progress. Lets start with at least one that will be achieved in 2018 indeed the early part off 2018 and demonstrates what can be achieved if we all work together! 1. See the rear quarter repair panel project through to completion. 1. 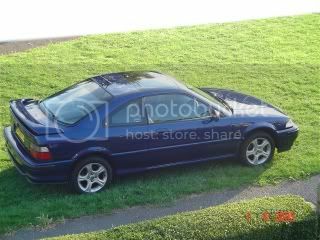 Probable one off the biggest if not the biggest question off the year to get my originally 220 coupe partly or fully resprayed as this late summer? early Autumn will mark its 25th and my 50th Birthday. Given the amount off cost potentially involved in this and the fact that other coupes that I intend to keep are far more in need off Body work than is one and to achieve this a number off other coupes would have to be left wanting, sold on or broken it is going to be a hard call to make. Now that we are in 2018 and given the lead times off some body shops the clock really is ticking. If it does not happen it does not happen but it would be nice if it did and a planned repeat if necessary at its 50th Birthday and my 75th should well cover my time behind the wheel if not in this world. 2.To sell at least two or three coupes on after getting them to a stage that they will not get stripped for parts. 3. To compete a stock list off all the spare that I have and work out what I need to keep and what I can allow to pass on to others to help keep coupes on the road. 4. To build more dry cool storage area. 5. To put up the two post car lift that I have had two years now which means even more building. 7. Reduce the number off cars that I have off the same colour and head towards one or two off each colour rather than 3 or 4 off the same. 8. To save coupes that others can or will not and keep them safe until someone is prepared to fix them. Make shore only the worst die to help others with parts and the rest have a second chance. Collect more parts for my coupe to be properly restored. Strip coupe to component parts. Send coupe to be welded and painted. Build massive garage - Planning is accepted, design is known just need to work out the base and get some men around to stare at a hole while not doing anything. Put TVR back together with refurbed gearbox, sorted air con, new water hoses and performance manifolds fitted (because it wasn't fast enough). This hopefully will be done in a few weeks. Sort brakes on the track car, speedo, other faffy bits. Mostly try to kill some tyres off and sell on some rims. Lotus - leave it alone as it isn't broken. Black coupe - get it finished and running. I.e. work out why the fuel isn't coming out of the tank. Most importantly get Ravs car fixed up and back on the road and back to Rav. Anyone want to come weld some patches on the sills? James and I will be racing again this year. We are aiming to do some 750mc Roadsports (45-min) races, and 750mc Enduro (2-hour) races. Drive more than I have the past 3 years..
Add, Stace, Iz and I bumped into James earlier today. Dates are in the calendars. Hopefully, it will be a successful year.